Reading is fundamental to a child’s academic success — and their future. It is a foundation for all learning. 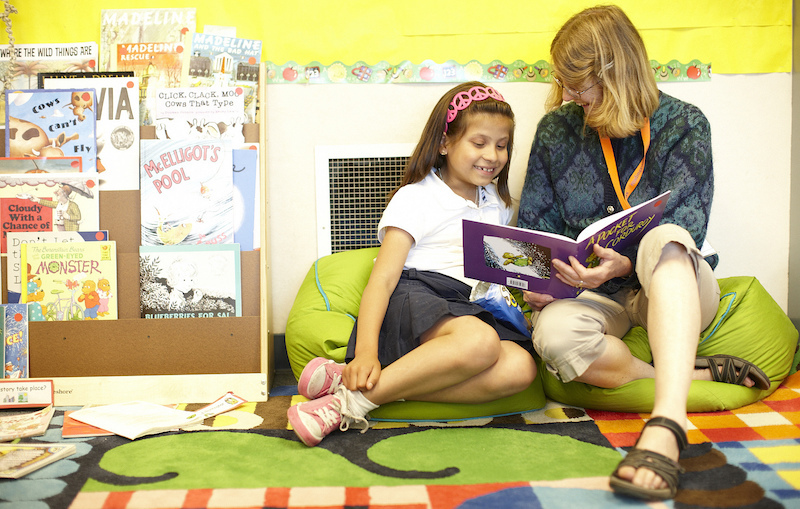 In fourth grade, students are expected to transition from learning to read to reading to learn. From this point on, they’ll use these foundational reading skills to explore and master new subjects like science, history, and geography. At this age, it is even more essential to have proficient reading skills. Together with our schools, Reading Partners focuses on students who are at least one month behind in reading, harnessing the power of community volunteers to provide individualized instruction to help them master the reading fundamentals they need to reach grade level. Our trained, committed community volunteers work one-on-one with these students, delivering a simple, proven curriculum each week to help the child begin to gain lost ground. Working one-on-one with their tutors, students who were once struggling in many subjects become proud, confident readers, excited about learning and ready for success.